In trains, there’s the express and the local. 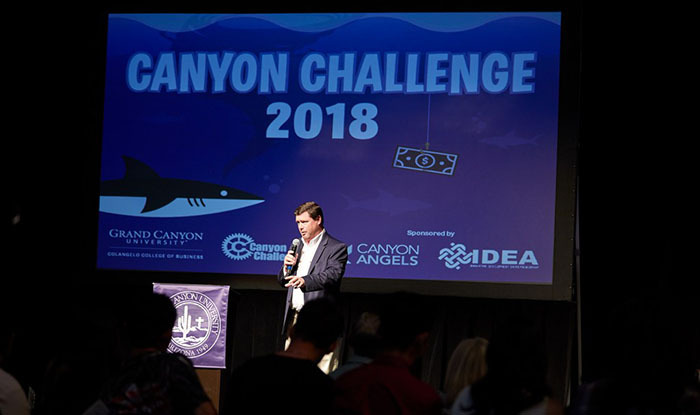 In the Canyon Challenge, Grand Canyon University’s entrepreneurial competition for students and alumni, there’s the old way – once a year, like the express – and now there’s the new way. More stops. Like the local. The spring 2019 version of the Challenge is set for 11:15 a.m. Wednesday in the Colangelo College of Business (CCOB) Building. That means it will be starting just as many students are getting out of class, and the hope is that they’ll stick around to hear the presentations. To that end, GCU has put in motion a plan to create more opportunities for business students to collaborate with students from the College of Science, Engineering and Technology (CSET). 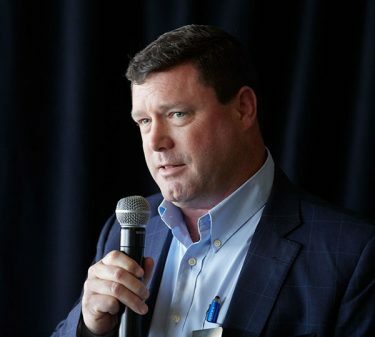 In the fall semester, the plan is to have entrepreneurial students in both colleges start with a class that Kelley called “essentially identical.” Before long, he hopes to have the curriculum set up to where they work in the same classrooms on projects. The five finalists for Wednesday’s Canyon Challenge were chosen from a group of 17 entrants who pitched at the weekly Shark Tank. As in the past, they will compete for $10,000 in prize money — $5,000 for the winner, $3,000 for second place and $2,000 for third. GreatR Media (Andrew Flowers, Connor Keene): Digital marketing agency that helps businesses and entrepreneurs leverage social media to create and scale revenue. Ninjobi (Areahna O’Rea): Platform that enables millennials and Gen Z’s to connect with professional jobs while giving them flexibility, work/life balance and independence. Bills Bowls (Isaac Bills): Meal-convenience company that enables students to save money, eat better and waste less. Trvo (Malik Rivers): Travel-planning app built for the way millennials travel. Separate from the competition, there also will be a special presentation by Seth Baxter for his idea, Restore: Plastic for Purpose.